Do you remember Orangina? 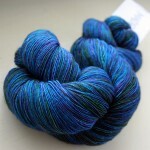 It hit the knitblog circuit back in 2007. It finally started warming up in the Philly area this week and I started wearing a few lacier tops. 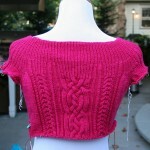 And of course that got me thinking about knitting a lacy top. I looked at a bunch of tops and had several in mind, but Orangina kept coming to the top. 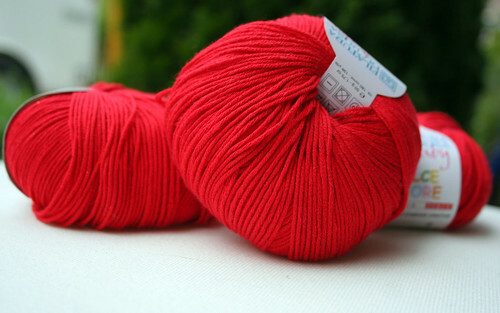 Friday after work I went to the LYS and found 5 skeins of Filatura di Crosa Dolce Amore in red. I know myself and I need this to be easy care or it will sit in a bag waiting to be handwashed. 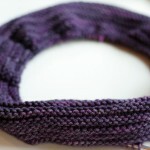 I knit up a swatch and washed and dried it. Like many cottons it retained the stitch count but shrunk up on width. I took before and after pics on top of the graph paper pad so I could resize both to be the same size for comparison. I don’t trust myself to measure consistently. 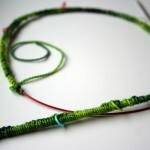 As for mods, I can see how stretchy this stitch pattern is and I don’t want a loose fit. I do like slightly cap sleeves though so I’m starting with a 36 and I might reduce down to a 34 after the armholes. 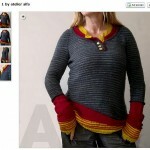 I’m also planning to knit it in the round after the armholes. I cast on yesterday and just have an inch or so done. I think I’m going to love the color and assuming my sizing is on I’ll get a lot of wear out of this top. A lot of people talk about what a slog this knit can be so I’m preparing myself for that “omg I can’t knit this freaking thing any more.” It won’t be that bad though if I procrastinate by knitting on a pair of socks, right? 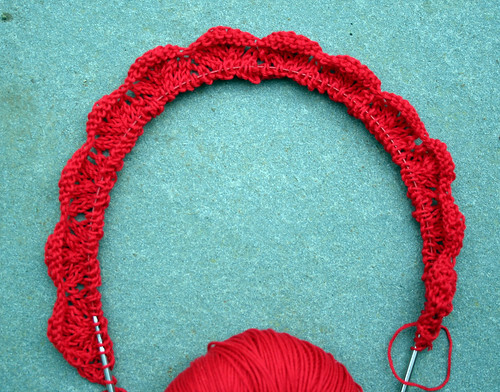 WIPs - 2014 lace, pullover, rougina. permalink. What a vibrant color! Can’t wait to see your orangina finished! me neither! i think it will match a lot of my skirts so i really need to make this. famous last words, i know. Well, even if you procrastinate with a pair of socks, there will still be some socks in the end. That is such a beautiful shade of red. It will look amazing in that pattern and with summer skirts.